Iconic computer game The Sims has just celebrated its eighteenth (!!!) birthday which is the perfect time for Kelela to release her Sims-inpired video for Frontline. 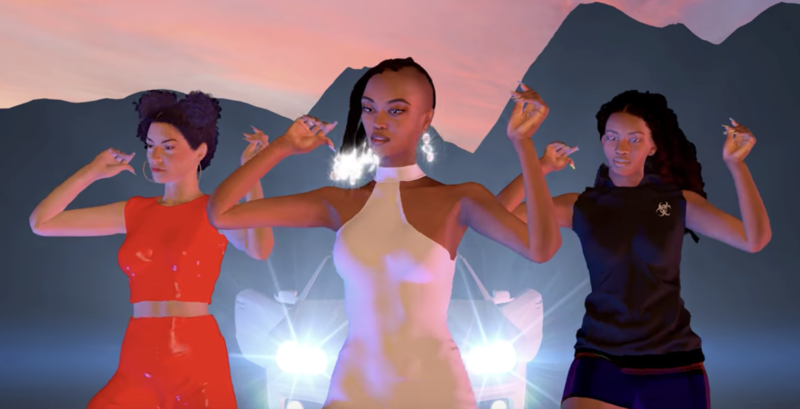 The nostalgic clip features a computer-generated Kelela character with her signature, crystal-strung dreadlocks, a Mercedes convertible, and backup dancers. The animation and effects were brought to life by Claudie Matè, while the clip’s concept was developed by Kelela and Mischa Notcutt. Kelela is certainly one Sim you won’t want to leave in the pool with no ladder.